It's a beautiful morning with blue skies and a gentle breeze. Plants and animals are just as grateful as we are for this wonderful time of the year. 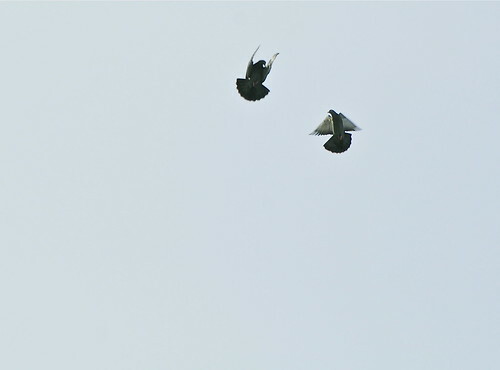 These two pigeons refused to land after taking off this morning. They were dancing in the air for quite some time. Wishing everyone a happy start to the week. It is a nice day, hopefully not too windy! Tats a nice picture....Bu Yousef. Wishing you too a great and happy start to the week. Thanks. I hope it doesn't bring more dust!